We’ve compiled these resources – videos, articles, books, and more – with teachers and parents in mind. 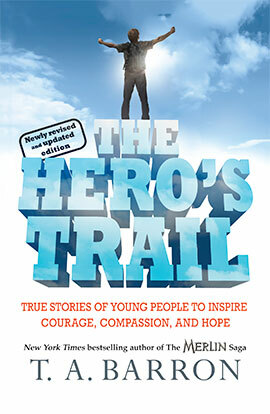 They can be used in the classroom or at home to inspire the young heroes in your life. Everyone has a hero inside! 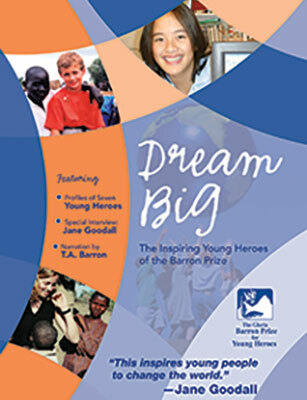 In this brief video, author T. A. Barron talks about what makes a hero, the difference between heroes and celebrities, and the Barron Prize. This trailer introduces a 45-minute documentary film, Dream Big, which profiles a diverse group of passionate young people who are making the world a better place. This playlist of videos includes a commentary by Jane Goodall, interviews with T. A. Barron and previous winners of the Barron Prize, and more. Everyone can be a hero! Children from a school in Ohio created this video using art that illustrates what being a hero means to each of them. We need our heroes, today more than ever. Not just celebrities, but real heroes — people whose character enables them to triumph over great obstacles. And to make a genuine difference to our world. 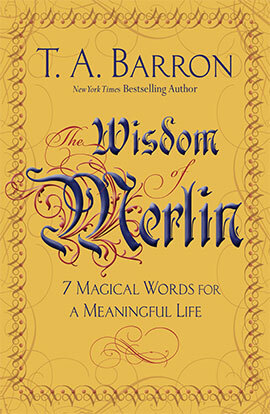 From T. A. Barron comes a new non-fiction book that explores what is, perhaps, Merlin’s single greatest idea: Magic surrounds us and lives in every person. 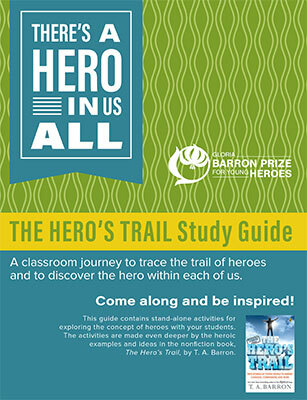 We’re delighted to provide a set of our Young Heroes Materials for educators to use in exploring the concept of heroes with their students. Visit T. A. Barron’s website to download or order these complimentary materials for use in your library or classroom. This documentary profiles a diverse group of passionate young people who are making the world a better place. Visit our news room for recent press releases, videos, and more.